PADF's Board of Trustees held its mid-year meeting yesterday at the headquarters of the Organization of American States (OAS) in Washington, D.C. The meeting was convened by Ambassador Nestor Mendez, Assistant Secretary General of the OAS and Vice Chair of the PADF Board. Amb. Mendez congratulated both staff and trustees on PADF's 55th year of operation as an OAS foundation. 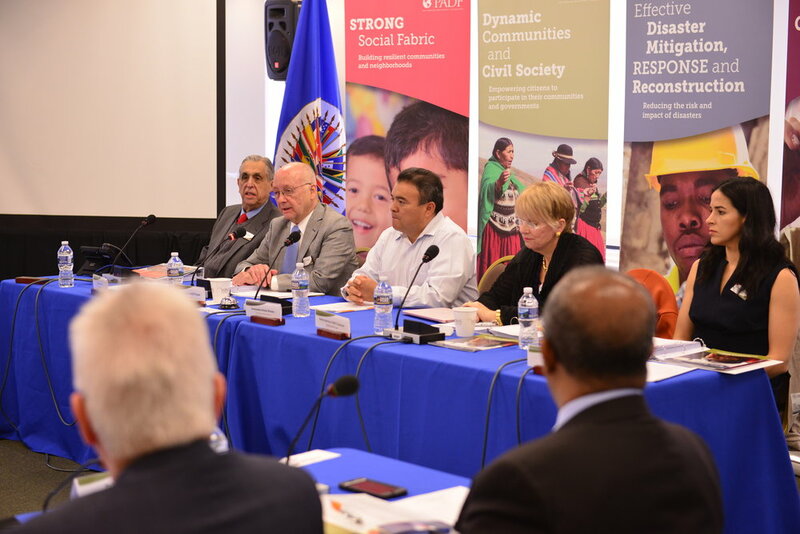 "For many decades, PADF’s efforts to promote integral development, to advance social inclusion, to strengthen civil society, and to aid victims of natural disasters and humanitarian crises have won great praise throughout the hemisphere," said Mendez. "These achievements demonstrate Inter-American solidarity with citizens who wish to play a greater role in improving their societies and enhancing democratic participation." Mendez also welcomed three new Trustees to PADF: Sandra Guazzotti, Vice President of Oracle Financing for Japan and Asia Pacific; Ambassador Alfonso Quiñonez from the El Progresso Group in Guatemala and a former OAS Assistant Secretary; and Mina Pacheco, Founder & Managing Partner of ALDEA Capital Partners. 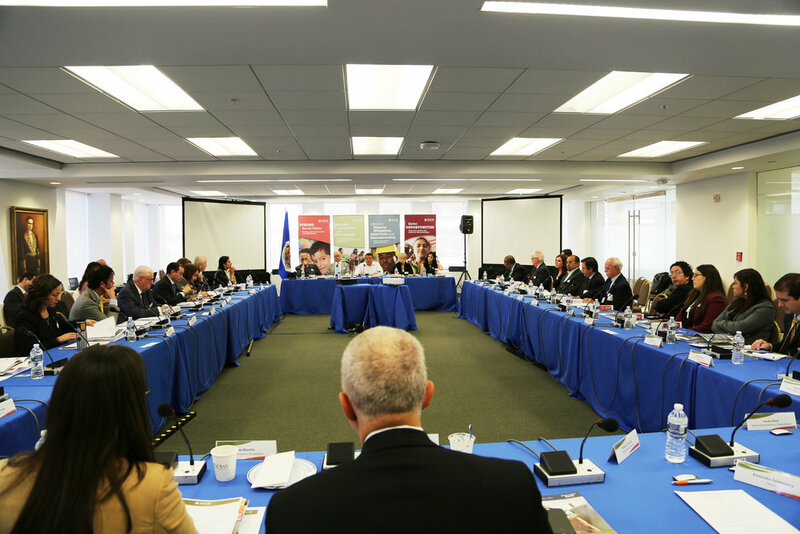 He encouraged the trustees and staff to continue to forge innovative partnerships, in order to mobilize resources and respond to the needs of the peoples of the Americas. "PADF is a great OAS success story, especially in the area of encouraging public-private partnerships," said Mendez. PADF invested more than $95 million in development and disaster assistance in 2016, reaching nearly 8 million people. The foundation is also on track to meet it's five-year strategic goal of reaching 60 million vulnerable people in the Americas by the end of 2017. For more information, see our 2016 Annual Report, Investing in People: Empowering the Americas.